DM Brazilian Jiu-Jitsu and Mixed Martial Arts (MMA) center is an official representative of the world famous, Machado Jiu-Jitsu Association and is Lakewoods only fully accredited Brazilian Jiu-Jitsu Academy, offering instruction by multiple certified USBJJF and IBJJF Black Belts. DMBJJ offers a comprehensive self-defense program in the arts of Brazilian Jiu-Jitsu (BJJ), Submission Wrestling/Grappling/No-Gi BJJ, Judo, Wrestling, Muay Thai, Boxing, and Mixed Martial Arts (MMA). 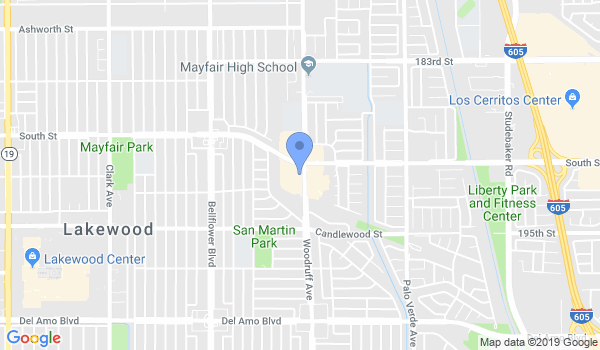 DMBJJ has been in operation in the city of Bellflower and Lakewood for 10 years and has touched many lives along the way. Our martial arts program will not only get you in the best shape of your life, it will also boost your self-confidence and introduce you to a wonderful group of new friends. Our goal at DMBJJ is to enhance our community and it’s citizens through the positive personal development a martial arts education provides. Our strong passion for our students encourages us to strive every day to exceed their expectations. We offer a clean and friendly environment, adult and children classes, 6 days a week schedule, professional and courteous staff, and world-class instructors who are ready and willing to answer all of your questions. Brazilian Jiu-jitsu, Jiu-Jitsu (Jujutsu/Jujitsu), Judo, Kick Boxing & Mixed Martial Arts (MMA) classes are available in Lakewood for children and adults. Daytime and evening classes offered all year round on various weekdays. Please contact DM Brazilian Jiu Jitsu Academy for exact class hours for different age groups. Would you like more information on hours, classes and programs available at DM Brazilian Jiu Jitsu Academy? Please contact the school with your questions. Update the details, Write a Review or Report Error of DM Brazilian Jiu Jitsu Academy. View all Dojo in Lakewood or in Zip code 90713. This Chart shows the Martial Arts Styles offered most in Lakewood, California area. View a list of Dojo in Lakewood, or enter your address below to find schools closest to you.